Field Maintenance: To Sample or Not to Sample? If wet weather last fall kept you from field maintenance, such as soil sampling for soybean cyst nematode (SCN), it’s not too late to still gauge the health of your soil. The University of Illinois Extension recommends soil sampling every 3-5 years, so you’re aware of SCN levels and can develop your management plan. While fall is an ideal time to monitor for SCN and make your management plan for the next season, sampling can still happen this spring before planting your soybeans. Sample fields where you’ll be planting soybeans. Divide each field into 4 quadrants and submit 4 composite samples for each field, including fields with a history of poor growth or yield. Sample fields when the soil is damp but not wet. Use a soil probe or small spade to collect soil 6 to 8 inches deep from at least 20 locations throughout the sampling area. Follow a zigzag pattern when sampling to ensure you cover the entire area. Once you’ve collected the 20 soil samples, place each one in a soil testing box or double plastic bags. Include the field names or numbers on the boxes or bags. Fill out a form, send payment and soil samples to a university extension that tests for SCN. 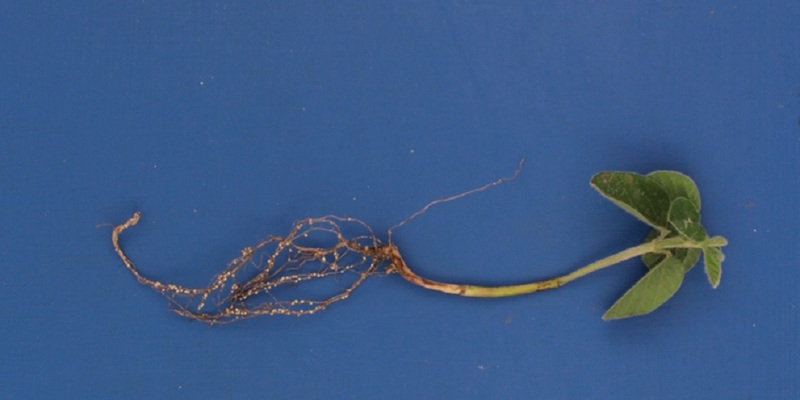 If you’re planting soybeans in 2019 and test results reveal you have more than 12,000 SCN eggs per 100 cubic centimeters of soil, you may want to plant seed treated with a nematicide seed treatment to help reduce yield loss. Syngenta recommends Clariva® Elite Beans seed treatment. Which provides season-long, lethal activity and broad-spectrum protection against SCN, early-season insects and diseases.